1) Mission: For those of you who have had the pleasure of sampling chef Adriana Lopez Vermut's authentic Venezuelan fare at Pica Pica Maize Kitchen in Napa and have been wishing for more opportunities closer to home, there's good news! A second location is in the works and will hopefully open by early April. "We always hoped to open a location the Mission - after all, Pica Pica is Latin, this is our neighborhood - so now San Franciscans can get their arepa fix seven days a week," she shares. "And we'll still be in Napa at the Oxbow Market with Pica Pica Bar and the special activities, as well as out on the festival circuit this summer at concerts like Outside Lands, street fairs such as Castro, Folsom, Carnaval and other events - this expansion is definitely a response to Bay Area and San Francisco demand." So, stay tuned for signature arepas, cachapas, and maize'wiches, along with empanadas, yucca fries, sweet plantains, soups, salads, and of course, coconut lemonade. Beer, wine, sangria and Guarapita - a daiquiri-style drink - are on the way once the liquor license is obtained. 40l Valencia Street at 15th. 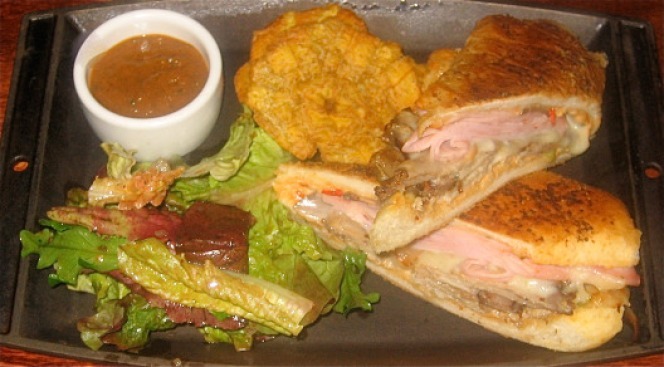 2) SoMa: If you haven't been able to steal away to the SoMa neighborhood during lunch time to try one of those Ironside cubanos that people have been talking about in recent months, now you can sink your teeth into the notorious sando after work. The mouth-watering slow roasted pork-ham-pickles-and melty Gruyere cheese concoction is now served during dinner.